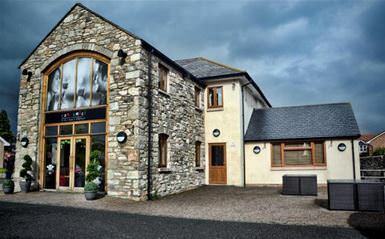 Brookhouse Mill, situated in Denbigh, North Wales, is a busy restaurant and bar which boasts a fine ala carte menu using Welsh produce. Brookhouse Mill is a 17th Century mill with an atmospheric restaurant which features many of the old mills cogs and wheels downstairs. Yet a modern touch has been added with a first floor conservatory, an area of private dining, which overlooks the river and gardens. Brookhouse Mill is situated on the A525 between Denbigh and Ruthin with ample parking across the river from the restaurant. 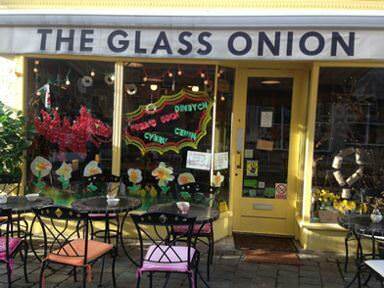 We are open 7 days a week in season and offer a variety of menus to suit all tastes and budgets. Covering three floors, the shop has something for everyone – a feast for the eyes. Whatever your occasion, whatever your budget. 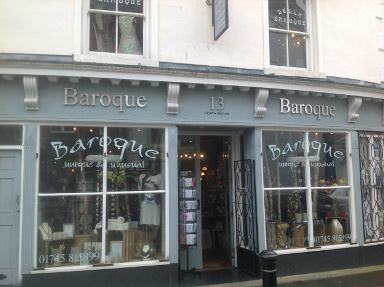 Baroque is situated in the centre of Denbigh, open Monday to Saturday 9.30am-5pm. Covering three floors, the shop has something for everyone – a feast for the eyes. Whatever your occasion, whatever your budget, we are here to help. 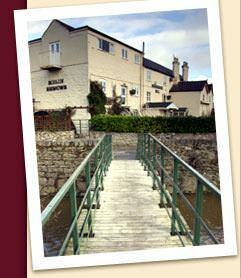 Public house offering traditional real ales, good food and comfortable accommodation. Popular with locals and visitors alike, the building dates back to the 16th century. 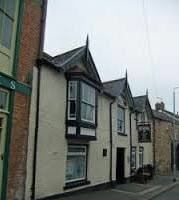 We are a public house situated in a bustling area of Denbigh offering traditional real ales, good food and comfortable accommodation. If you’re looking for good company alongside a hearty meal, we’re popular with locals and visitors alike, bringing a great atmosphere and sense of community to the pub. 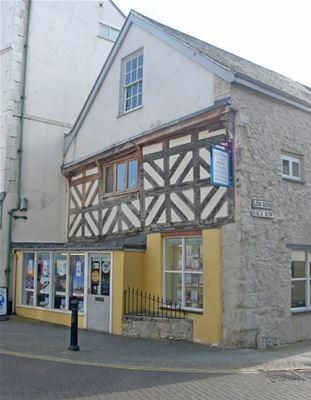 The building dates back to the 16th century and is steeped in history. Delicious home-cooked meals are served on Friday evenings and Sunday lunchtimes. Bed and breakfast is also available in our comfortably furnished rooms, each with private en-suite facilities and Freeview television. 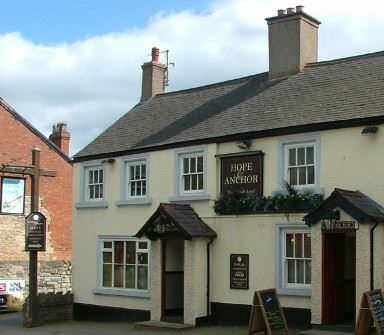 A warm welcome awaits you at The Hope and Anchor – drop in for a pint and you’ll soon feel at home. Sports and live music bar with a large selection of draught lagers, beers, ciders, local cask ales and spirits. Showing all the sports and playing regular live music. Denbigh’s top sports and live music bar. Large selection of draught lagers, beers, ciders, local cask ales and spirits. Speciality gins and tonics bar.Quality wines and Proseccos. Beer garden. Darts, pool and dominoes. Showing all the sports on ultra-wide multiple screens. 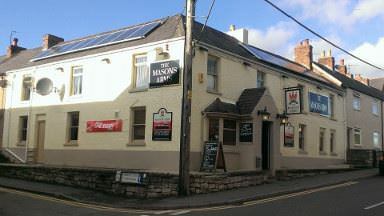 Playing regular live music – check us out on Facebook (Masons Arms, Denbigh) for dates, times and performers. We are proud to be the largest independent optical company in North Wales. 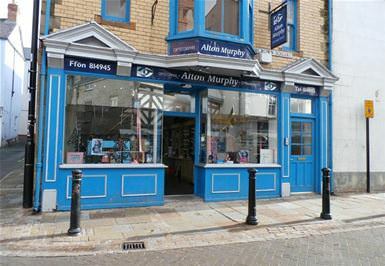 Alton Murphy was established by Mr Alton Murphy Bsc.FC Optom in 1970 opening his first optical practices in Amlwch and Beaumaris, building his reputation on offering the highest standard of professional eye care and quality eyewear. Alton Murphy has evolved from there now offering his professional expertise across North Wales. With fashionable but friendly practices and committed to the continuous professional development of his staff enabling them to deliver the highest standard of eye care. 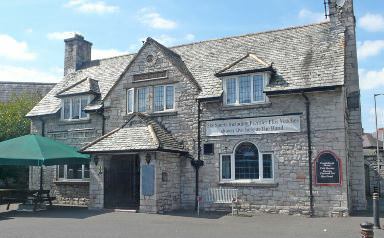 Well-established public house with open-plan lounge and games room, providing darts, pool and dominoes. Two big screens for sporting events and large car park with picnic tables. The Hand is a well-established public house with large open-plan lounge area and games room, providing darts, pool and dominoes. Two big screens for sporting events. It also has a large car park to the front with 10 picnic tables. Always a friendly welcome to old and new customers. English- and Welsh-speaking staff. Very friendly town centre local. Long but narrow main bar to front with separate lounge to rear. Carpet and vinyl flooring specialists with a wide range of samples on show to suit every budget. Made-to-measure service for rugs, runners and doormats. We are a husband and wife team who specialise in carpets and vinyl flooring, Phil having over 30 years’ experience in fitting. Lyndsey is in the shop daily Monday-Friday 9.30am-5.30pm and Saturday 9.30am-3pm where you will find a wide range of samples on show to suit every budget.We offer a unique made-to-measure service for rugs, runners and doormats with our binding service. You can also find a varied selection of ready-made too. Wales’ most fabulous chocolate, treats and coffee shop with amazing custom cakes and outrageous scrummy chocolates and hot choc. 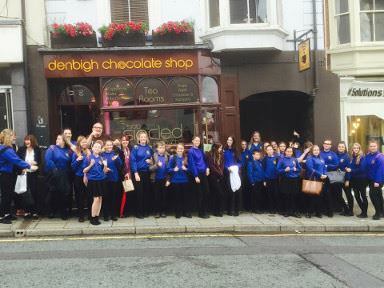 Denbigh Choc Shop voted the Best Place to Eat & Drink on the High Street in Wales! Well done to our great staff and customers! Try our funky little Choc Shop. Denbigh Chocolate Shop is Wales’ most fabulous chocolate, treats and coffee shop. Deep in the heart of the Vale of Clwyd, come see us for amazing one-of-a-kind custom cakes and outrageous scrummy chocolates and hot choc! 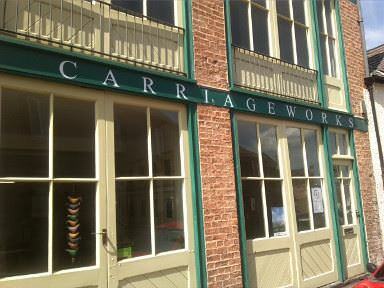 Our opening hours are: Mon-Sat 9am-5.30pm, Sun 11am-4pm. A unique experience in a beautiful building. Gallery exhibitions, arts and crafts gallery, yoga, meditation and reflexology, live music, locally roasted coffee. Housed in an authentic and beautiful building within sight of the town’s High Street, The Carriageworks offer a unique experience. The gallery exhibitions change monthly. There are retail areas displaying the work of local artists and local crafters. Yoga, meditation and reflexology sessions can be booked in the tranquil Loft. There are occasional live music performances, again by local musicians performing their own work. Even the coffee has been roasted locally by Tim of Mug Run who takes great care to source the beans from bona fide cooperatives who are trained to take good care of their soil, water supplies and flora and fauna of their rainforest. We hope that you will be pleased with our world class cuisine and service, our menus reflect the true art & culture of the Indian Subcontinent. Our sole purpose is to ensure that you have the best food and service possible so that this every occasion remains a memorable one that you will want to repeat. Extensive range of haberdashery, knitting wools, patterns and accessories, fabrics, quilting supplies and school uniforms for local senior and junior schools. Threads has been established since 1989 in the busy market towns of Denbigh and Ruthin. We supply an extensive range of haberdashery, including scissors, buttons, threads and needles. Knitting wools by Sirdar, Hayfield, Wendy and Robin in addition to a large selection of knitting patterns and accessories. Fabrics including polycottons, muslin, hessian, felt and fat quarters for quilting. A further extensive range of quilting fabrics is available in the Ruthin shop. We supply school uniform for local senior and junior schools. 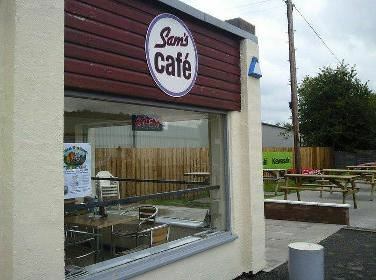 Part of A&D Motorcycles, Sam's Cafe offers fantastic food at great prices. It is an ideal place for bikers to meet and have a bite to eat. Family-run garden centre with an onsite café and ice cream parlour where you can enjoy refreshments inside or out in the gardens. 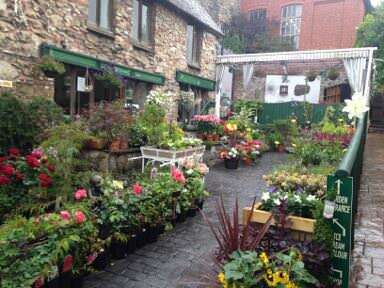 Reebees Secret Garden is a unique family-run garden centre offering plants, shrubs, trees, pots, tubs, gardening tools, garden ornaments and furniture, gifts and more. There is an onsite café and ice cream parlour where you can enjoy refreshments inside or out in the gardens. We also stock our own range of bird feed and a range of bird feeders, bird houses etc. 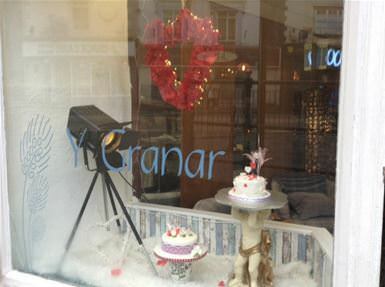 Family-run gift shop specialising in Yankee candles, Joma Jewellery and the famous Bomb cosmetics bath bombs. Also toys, handbags and scarves at affordable prices. 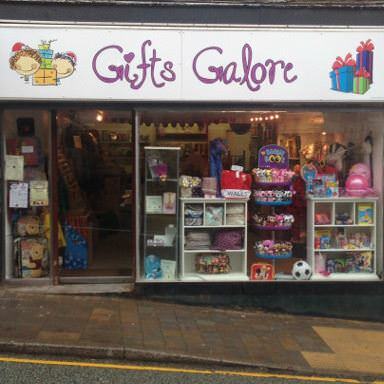 Gifts Galore is a family-run shop that specialises in gift items that include Yankee candles, Joma Jewellery and the famous Bomb cosmetics bath bombs. We also stock toys, handbags and scarves at affordable prices. Find us on Facebook: denbighgiftsgalore. TRAVELSPORT offer the widest possible choice, the highest standards of service, top quality holidays and real value for money. We don't just sell you a holiday - we are there to help you before, during and after your break and we will do everything possible to ensure that you get the holiday that best suits your needs at a price you can afford. We pride ourselves in being friendly, helpful and efficient. So put us to the test, and discover for yourself the TRAVELSPORT experience! 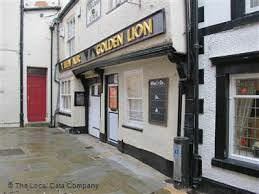 A traditional Market Town Pub, with a friendly atmosphere, just off the High street of Denbigh in North Wales. 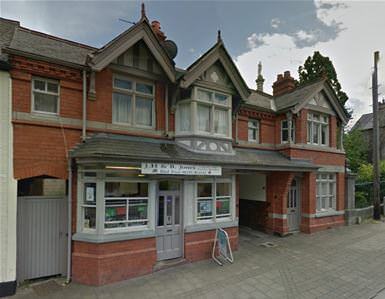 Popular with it's regulars for Socialising, Live Sports, and its Pool, Darts and Dominoes! 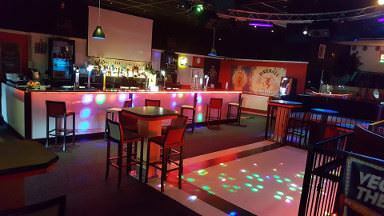 Sports bar and restaurant with function rooms available, live music until 2am. Great food at affordable prices. Denbigh’s premier sports bar and restaurant. Function rooms available, live music until 2am. Great food at affordable prices until late hours. 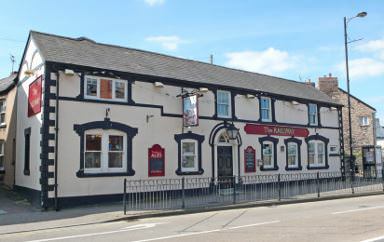 Popular pub in the centre of Denbigh offers a warm welcome, a selection of beers, weekend disco and karaoke, live bands and a regular quiz night. Popular public house in the centre of Denbigh town with a selection of lagers and Marston’s bitter. We have disco and karaoke every Saturday and Sunday and occasional live bands. Quiz night every Wednesday. Warm welcome. 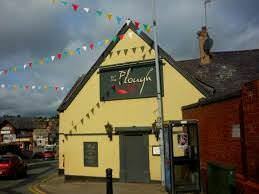 Find us on Facebook: Plough, Denbigh. Con Amici is a family-owned and run Italian restaurant serving fresh authentic Italian food. We have a seasonal Italian menu that uses a lot of locally sourced produce. The menu consists of many old favourites along with a selection of handmade pizzas, a variety of pasta and risotto dishes with a good selection of vegetarian options and many main course dishes all cooked freshly on the premises. Weekly specials are also available on our blackboards.The restaurant and bar is open from 12pm serving food and drink all day every day. Traditional public house half a mile from the historic castle. 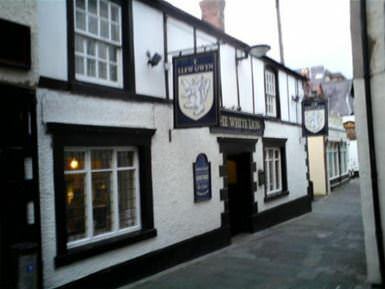 Popular back street pub in town centre. Traditional pub games. Public car park to the rear. Tucked away just off the centre of this medieval Welsh town an experience awaits you - The Guildhall Tavern Hotel. Sympathetically refurbished, this historic 16th Century coaching inn has retained all the charm and character of times gone by. Our central location in North Wales makes us a great location as a base for exploring with all parts of North Wales within easy driving distance. The Guildhall Tavern hotel is right in the heart of Denbigh and looks out over the spectacular Clwydian Range, a haven for avid walkers looking for challenging terrain and far reaching views across the beautiful corner of North Wales. Eclectic mix of vintage goods, cards, gifts and crafts from local makers and further afield including ceramics, jewellery, artwork, textiles, antiques and painted furniture. An eclectic mix of vintage goods, cards, gifts and crafts from local makers and further afield. 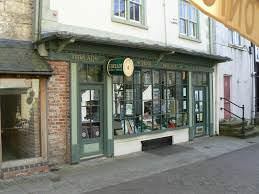 This includes ceramics, jewellery, artwork, textiles, antiques and painted furniture, with an emphasis on items sourced locally and throughout Wales. 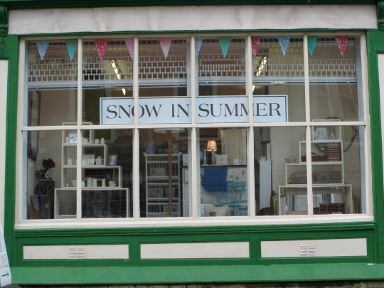 Find us on Facebook: DenbighSnowInSummer. Family-run bakery selling fresh bread, fresh cream cakes and savouries and pies. 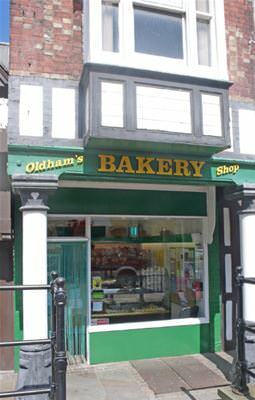 We are a family-run bakery selling high quality fresh bread, fresh cream cakes and savouries and pies. All types of window dressings for the home, commercial and industrial property. Friendly no-charge, no-obligation measuring service helps you find the perfect finishing touch to your room. Based in the scenic Vale of Clwyd and with over 20 years’ experience, we specialise in all types of window dressings both internal and exterior, for the home, commercial and industrial property. Our friendly no-charge, no-obligation measuring service allows us to advise and help you find the perfect finishing touch to your room. 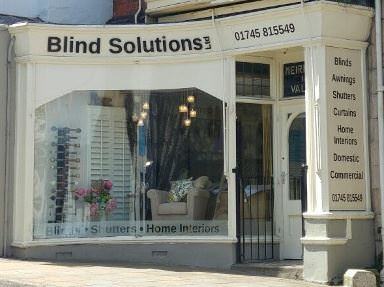 Why not call and see us at our showroom, where you would be more than welcome to browse our ranges or if you are unable to visit us personally, just give us a call on 01745 815549 and we will make arrangements to call and see you. 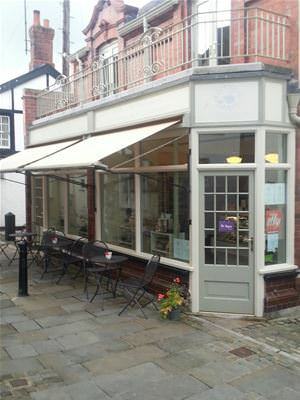 Coffee shop on the High Street of Denbigh, selling home-cooked food, homemade cakes, afternoon teas and Fairtrade Dwyfor tea and coffee. Open seven days a week (Sundays, Easter-September) from 8am-5pm. 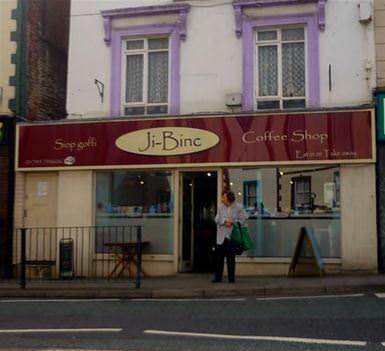 Facebook: Siop goffi Ji-Binc coffee shop. Delicatessen and Tea House selling the best of welsh produce from the Vale of Clwyd and Wales. Open five days a week (Closed Monday & Sunday) from 10am-5pm. Small, friendly cafe – a place to meet, eat, drink, relax and watch the world go by. Tasty home-cooked food, prepared and created daily using fresh locally sourced produce. A small, friendly cafe on the Back Row of Crown Square. A place to meet, eat, drink, relax... watch the world go by. Enjoy tasty home-cooked food, prepared and created daily using fresh locally sourced produce, served in the best possible way. We don't serve “fast food” but we do serve delicious fresh food... as fast as we can! Please be aware that during busy times there may be a wait. We try to cater for a wide variety of tastes and dietary requirements including vegetarian, vegan, dairy and gluten-free. A warm welcome to all - including dogs in our outside eating area. No time to stop? Takeaway, pre-order and delivery are available too. We offer catering for business/private lunch buffets, dinner parties or children’s parties, delivered to your venue. We are bakery that produces specialty breads and cakes, as well as home made take out sandwiches and ready meals. 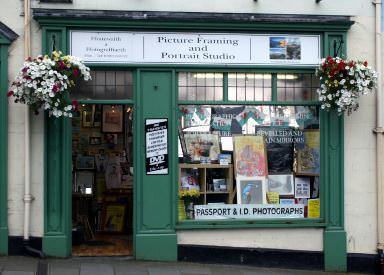 All aspects of picture framing and photo printing, old and damaged photos restored, passport and portrait photos taken in shop, video production, old films copied to DVD. All aspects of picture framing including prints, canvases etc. Printing of photos on canvases, cushions, mugs, slates, coasters, placemats, etc. Old and damaged photos restored in colour and/or black and white. Passport and portrait photos taken in shop. Video production service for business promotions and for special events, weddings, christenings, etc. Old videos and cine films copied to DVDs. Family-run independent electrical retailer supplying goods and services to the area for over 100 years. Large range of stock, knowledgeable staff, delivery and installation service. We are a family-run independent electrical retailer and have been supplying goods and services to the area for over 100 years. We carry a large range of products and are members of the Euronics buying group, which gives us access to most, makes and allows us to order anything that is available very quickly. We offer a delivery and installation service and all our staff are helpful, knowledgeable and experienced. 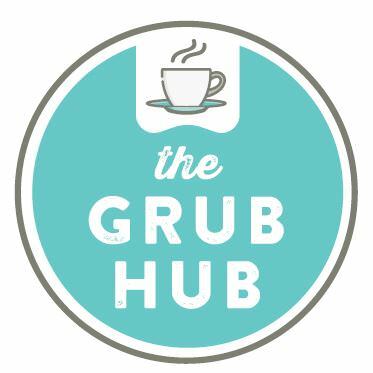 The Grub Hub offers a variety of foods to suit a variety of tastes from those that are more healthy conscious to those who enjoy to indulge in something a little more naughty. We offer balanced meal boxes, 'The Macro Box'...consisting of Protein, Carbs and Greens as we know that when your on the go or just don't fancy cooking getting a balanced meal can sometimes be difficult. We also offer home cooked specials... so forget about cooking and let us do it for you. Come and say hello for a coffee, homemade soup, sandwich, jacket potato, hot meal or a Macro Box to name a few. You will receive a warm and friendly welcome in a relaxing environment. Please ask if there's something not on the menu and we will try and accommodate. Any special dietary requirements or for allergen information please ask a member of staff. 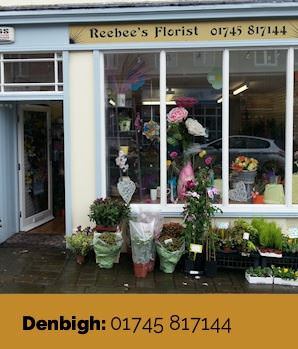 Family-run bespoke florist specialising in all aspects of floristry with friendly staff and shops in Denbigh, Ruthin and Pensby. Reebees are a family-run bespoke florist specialising in all aspects of floristry. 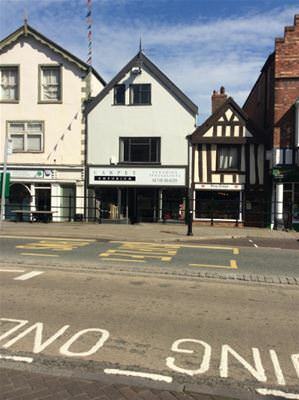 We have shops in Denbigh, Ruthin and Pensby. Please call us or pop in and speak to our friendly staff. 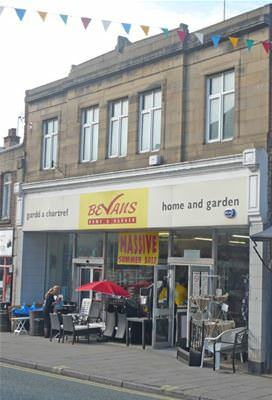 Home and Garden retail store stocking seasonal products, tools and supplies for all your DIY needs and much more. Deli and butcher selling local meat sourced from local farms. All sausages, burgers and pies made onsite – and our onsite abattoir means low food miles. Free local delivery. Local meat sourced from local farms. Suppliers to the catering trade. Free local delivery. On site abattoir means low food miles. All sausages, burgers and pies made onsite. Family-run butchers in business for over 30 years. Excellent locally sourced meat, often from our own farm, and a showcase for the finest food producers across the region. 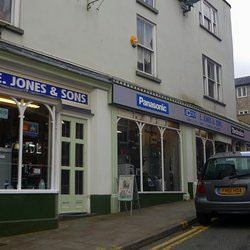 J H Jones, a family-run butchers based in Denbigh, have been in business for over 30 years. Dafydd and staff pride themselves on giving their customer excellent locally sourced meat and produce. Meat is sourced either from Dafydd and Elfair’s farm, other local farms or the local animal market by Dafydd himself – and great care is taken to provide the best quality at all times. 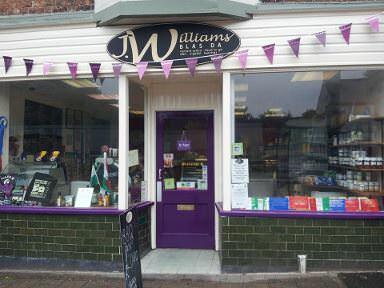 The shop also stocks a wide variety of other local produce, supporting food producers across the region. 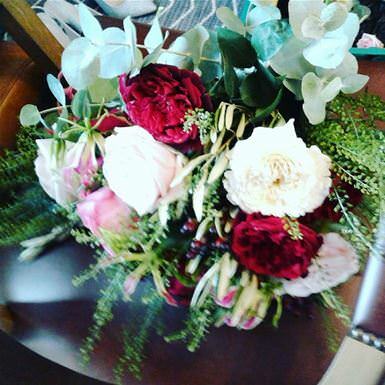 Family-run florist shop offering a friendly and professional service. Full Interflora member with flowers sourced directly from Holland. Funerals, weddings and corporate. 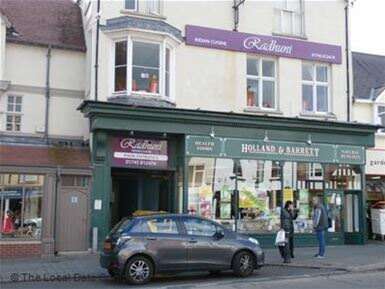 A family-run local florist shop offering a friendly and professional service. All our florists are fully qualified and we are a full Interflora member – we can deliver locally and worldwide. We buy all our flowers direct from the auction houses in Holland and have a delivery twice a week. All our outside plants are locally sourced and grown in North Wales. We offer a professional service for funerals, weddings and corporate contracts.